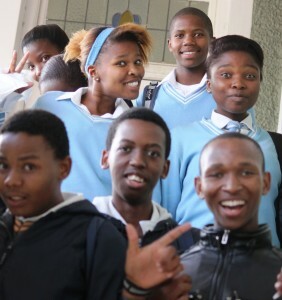 A group of promising Grade 12 learners have been introduced to ITEC’s Maths and Science programme. The programme includes not only extra lessons on challenging Maths and Science topics, but also visits to local industry, science fairs and competitions, motivational talks and personal growth. For the past few years learners have also been introduced to end-user computing in our two 20-seater laboratories. This year we are focusing even more on the rich maths and science resources available via modern technology. The subject experts working with the learners are encouraged to make use of the excellent free online videos and software available to maths and science teachers, while each learner on the programme is able to consolidate their learning through the Siyavula Intelligent Practice service. Teachers are not left out – Grade 12 maths and science teachers are invited to attend regular seminars on challenging topics.